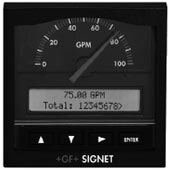 The +GF+ SIGNET 5075 Totalizing Flow Monitor displays flow rate on a highly visible analog dial, and uses a backlit LCD for displaying totalized flow volumes. One of the two totalizers is resettable from the front panel, and can also be reset from a remote location up to 30 m (100 ft.). The other totalizer is non-resettable and is commonly used to tally consumption, or to permanently record industrial effluent volumes. The monitors require 12 to 24 Volts, AC or DC, and can be used with any +GF+ SIGNET Flow Sensor with a frequency output. Our intuitive software design and four-button keypad arrangement provide for simple operation, and the NEMA 4X/IP65 integrity of the front panel can be extended to the entire enclosure by using the optional Back Cover Kit. 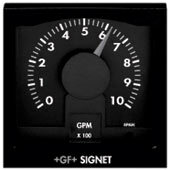 The +GF+ SIGNET 5090 Sensor-Powered Flow Monitor is an economical analog flow rate indicator, with a meter movement powered by the output signal of +GF+ SIGNET 515 Rotor-X and 319/515 Wet-Tap Flow Sensors themselves. No additional power source is required. This unique system is suitable for a wide range of flow rates, and is Factory Mutual (FM) approved for intrinsic safety without the need for barriers. The NEMA 4X/IP65 integrity of the front panel can be extended to the entire enclosure with the use of an optional Rear Cover Kit , adding to the independence and reliability of this simple flow measuring system, even in the most demanding industrial environments. Wide flow range: 1 to 20 fps in pipe sizes 0.5" to 36"
The +GF+ SIGNET 5500 Flow Monitor is equipped with a scaleable 4 to 20 mA output and two relays programmable for high, low, and pulse operation. Instantaneous flow rate is easy to read on the analog dial, while the backlit LCD is used for calibration, set-up and displaying totalized flow volumes. One of the two totalizers is resettable from the front panel, and can also be reset from a remote location up to 30 m. (100 ft). The other totalizer is non-resettable and is commonly used to tally consumption, or to permanently record industrial effluent volumes. 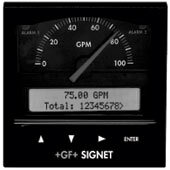 The monitors require 12 to 24 Volts, AC or DC, and can be used with any +GF+ SIGNET Flow Sensor with a frequency output. Our intuitive software design and four-button keypad arrangement provide for simple operation, and the NEMA 4X/IP65 integrity of the front panel can be extended to the entire enclosure by using the optional Rear Cover Kit. The +GF+ SIGNET 8150 Battery Operated Flow Totalizer is compatible with the +GF+ SIGNET 515, 525 and 2517 flow sensors, and will provide years of dependable operation. The large digital display indicates flow rate and totalized flow volume simultaneously. One of the three totalizers is resettable from the front panel or a remote location, while the second resettable totalizer can only be reset by entering a user-selectable security code. Meanwhile, the third is a permanent non-resettable totalizer. Our intuitive software design and four-button keypad provide for simple operation while setting screen displays and programming the system. 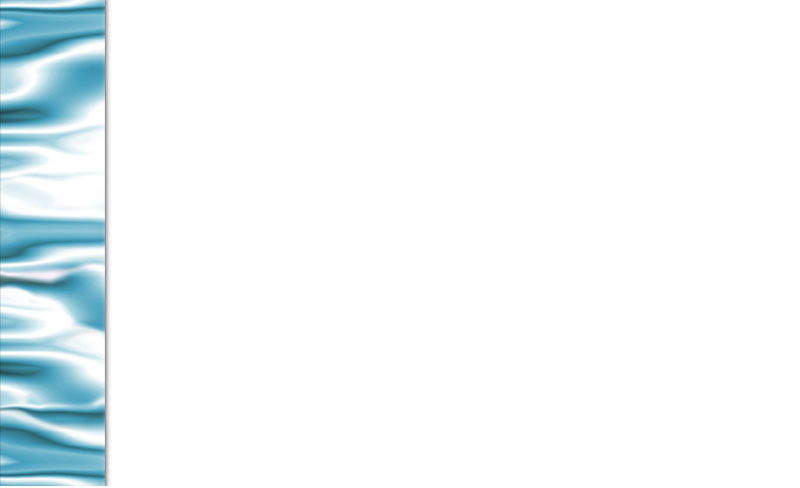 Calibration can be easily performed by entering the Auto-Cal feature and entering a value to match an external reference. Screen displays can be modified to suite the user's needs; along with the flow rate, any of the three totalizers can be selected as the displayed totalizer. Customers can quickly scroll through the totalizers simply by pressing any key on the keypad.